Through a visit to an iconic London venue, including the Tower of London, the Barbican and the Monument, Young City Poets helps to inspire pupils to write poetry of their own. 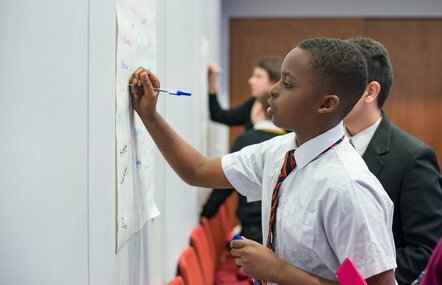 We are currently working with 35 schools and seven cultural venues across London. 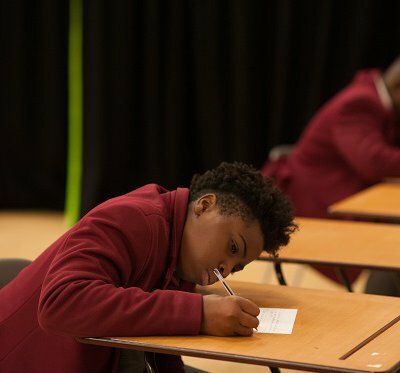 Following the visit to a cultural venue, schools taking part in the project receive a workshop with a poet or spoken word artist, to help the pupils shape and develop their poems. Teachers taking part in the project reported improvements in their pupils' attitudes to writing and attainment. We're looking for new schools to take part - fill out our expression of interest form to be considered. Picture the Poet was a poetry programme we ran with the National Portrait Gallery and poetry organisation, Apples and Snakes. This teaching resource pack offers a wide range of standalone poetry activities for the classroom. Read evaluation reports for our poetry programmes. This report looks at year two of the poetry programme and the impact it has had. This area is for schools involved in Young Bradford Poets.